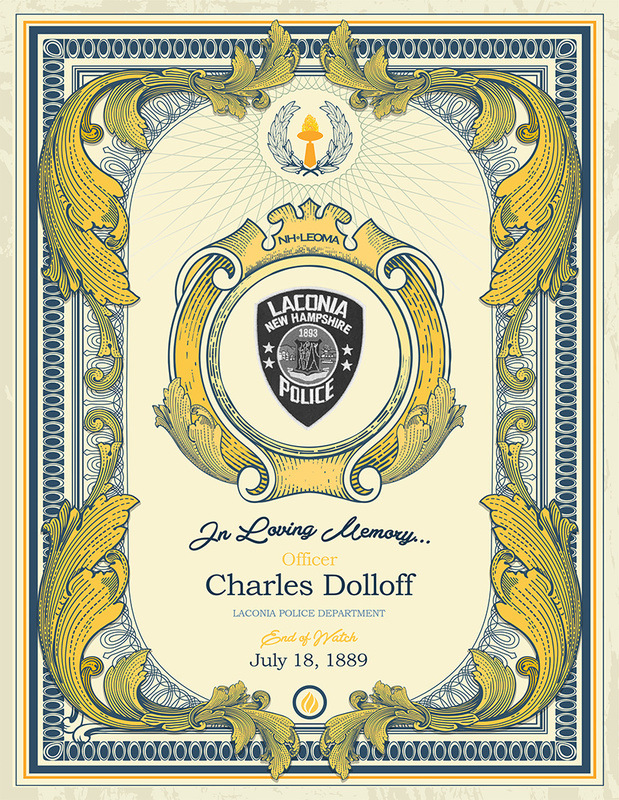 Officer Charles Dolloff was born on October 30, 1843. Prior to working with the Laconia Police Department, Officer Dolloff served with Company C of the New Hampshire 9th Infantry in the Civil War. Department in the downtown area. He was called to a large fight at the Horse Races as part of the Laconia Fair. Officer Dolloff took appropriate action to help subdue the combatants. Shortly after the fight, Officer Dolloff resumed patrol in the downtown area and suffered a fatal brain aneurism. At the timeof his death, Officer Dolloff left behind his wife who was pregnant with their son.